iTech removes the technology limitations that can act as a barrier for growth for many companies without removing control of their own IT environment. Their IT implementation and upgrade process helps corporate data become more secure, minimizing the risk against malicious software attacks. What IT Outsourcing solution do you use? Astreaäó»s core competencies include Software-as-a-Service (SaaS) Applications Implementation, Data Management on the Salesforce.com platform and Cloud Application Development. Ubertesters testing platform allows you to keep all your testing in one place, distribute and manage builds, report bugs directly from your app. Founded in March 2010, Essintial Enterprise Solutions℠ was born from two established organizations—Halifax Corporation and Northrop Grumman Commercial Services—each with decades of enterprise technology support expertise and integrity. 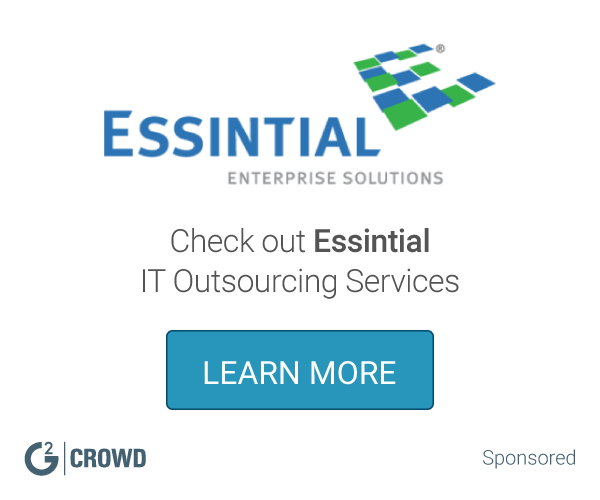 Experienced in working with both commercial and government customers, Essintial’s predecessors laid the foundation for what the company is today. eTeam is a software development company that specializes in providing outsourcing & outstaffing services. * We monitor all DMS iTech reviews to prevent fraudulent reviews and keep review quality high. We do not post reviews by company employees or direct competitors. Validated reviews require the user to submit a screenshot of the product containing their user ID, in order to verify a user is an actual user of the product. Hi there! Are you looking to implement a solution like DMS iTech?